Gabriel Mercado gave Jorge Sampaoli a debut win as Argentina boss as they beat Brazil 1-0 in a friendly in Australia. The Sevilla defender's goal got his former club manager off the mark as he prepares for the challenge of rescuing Argentina's World Cup qualifying hopes later this year. Sampaoli left Sevilla after one season to take charge of his home country with Argentina in danger of failing to make it to the finals in Russia next summer. They are clinging on to the final automatic qualification spot in the South American group, but Sampaoli will be delighted with a tenacious display at the MCG in Melbourne on Friday. The defeat was Brazil's first under manager Tite and they twice hit the post through Gabriel Jesus and Willian. 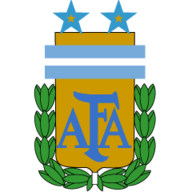 The teams held a minute's silence before the game with two Australians having died in the London Bridge attacks last weekend and Argentina almost took the lead after five minutes following a lightning break on the left from Angel Di Maria. The Paris St Germain winger swapped passes with Paulo Dybala but his drive hit the near post with Brazil goalkeeper Weverton beaten. 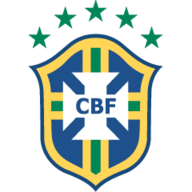 But Brazil began to edge the opening stages with Lionel Messi well marshalled and Renato Augusto curled a shot over after 18 minutes. Philippe Coutinho was also denied by Argentina goalkeeper Sergio Romero and Nicolas Otamendi after Willian found him unmarked in the area as Brazil continued to press. Slowly though, Argentina began to force their way back into the game and a clever volley from Di Maria had Weverton scrambling at his near post. But the goalkeeper could do little to stop Argentina's winner a minute before the break. Brazil were caught out by a short corner and, from Di Maria's cross, Otamendi powered a header which bounced into the turf and then off the post for Mercado to tap high into an empty net. Tite's Brazil tried to hit back early in the second half but Jesus was denied by Romero before his Manchester City team-mate Otamendi's late tackle also thwarted the forward. Romero again saved from Jesus on the hour before Brazil should have levelled three minutes later. Again Jesus caused problems to burst through and take the ball around Romero but, with the angle against him, he hit the post only for Willian to then strike the woodwork with a follow-up. But resolute Argentina held firm and Joaquin Correa forced Weverton into a further save with 15 minutes left. And Brazil's evening got worse when Jesus was carried off in injury time after being elbowed in the face by Otamendi, an offence which went unpunished.